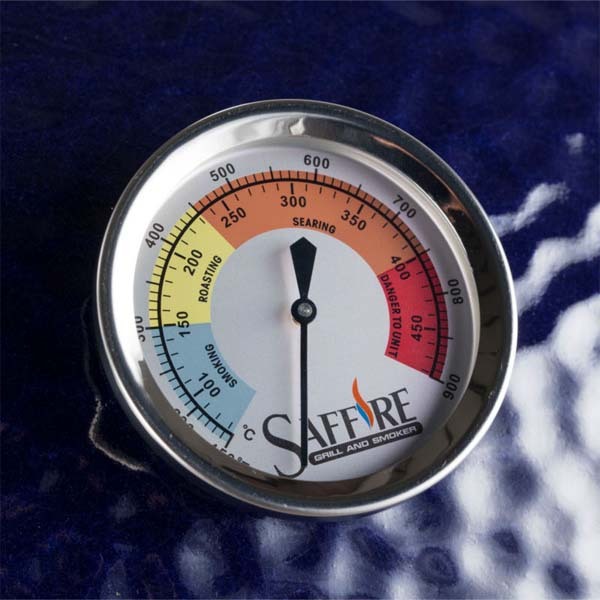 Saffire XL 23" Platinum Grill Head by Saffire Grill Co.
Saffire introduces the XL 23" Platinum Grill Head, their top-of-the-line ceramic griller, smoker, baker...you name it! 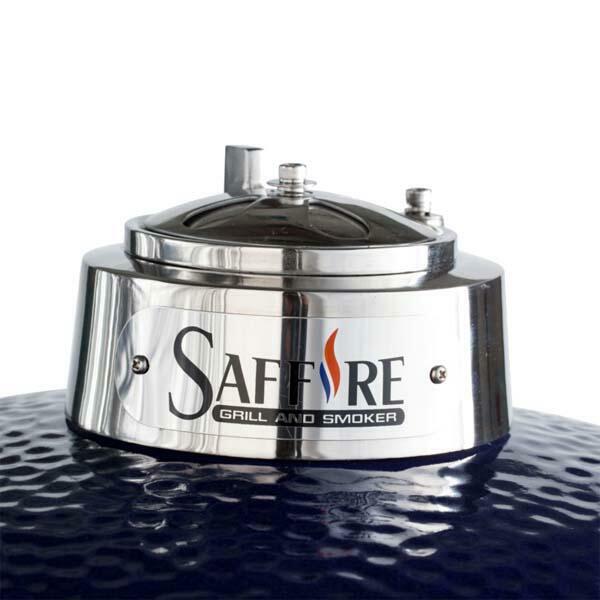 The Saffire XL 23" Platinum Grill Head features all 304 stainless steel hardware and a stainless steel handle. It offers an enlarged dome for more cooking room and a patent pending Crucible Firebox. 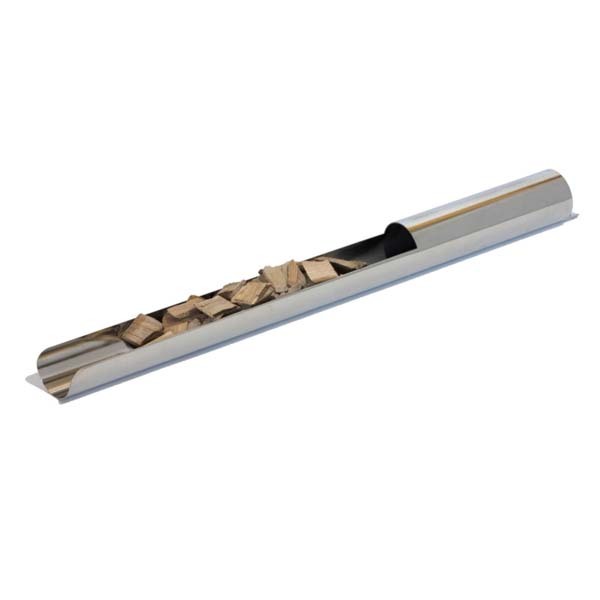 The Crucible Firebox inhibits structural failure, provides more charcoal capacity, doubles the grate size, offers a way to quickly remove ashes, and allows for a quick and easy start. 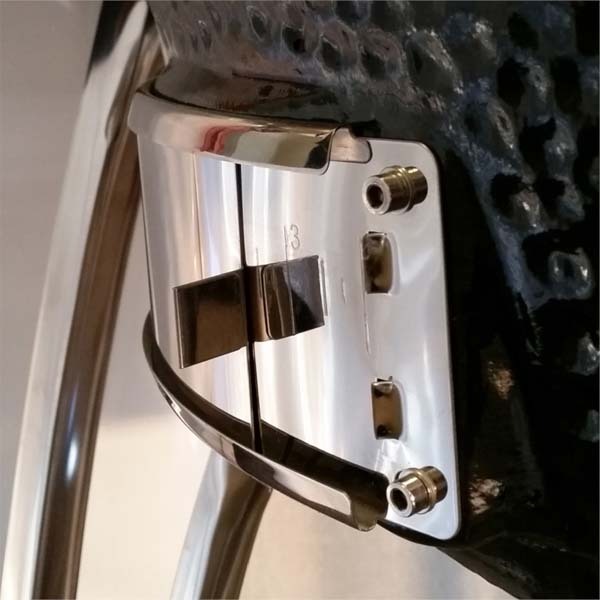 Included are a slew of free accessories; a multi-level cooking rack, ceramic heat deflector, secondary cooking grid, ash cleaning tool and Saffire's own Smokin' Chip Feeder. This ingenious invention makes it easy to add the ideal amount of smoke to flavor your barbeque with no hassle at all. 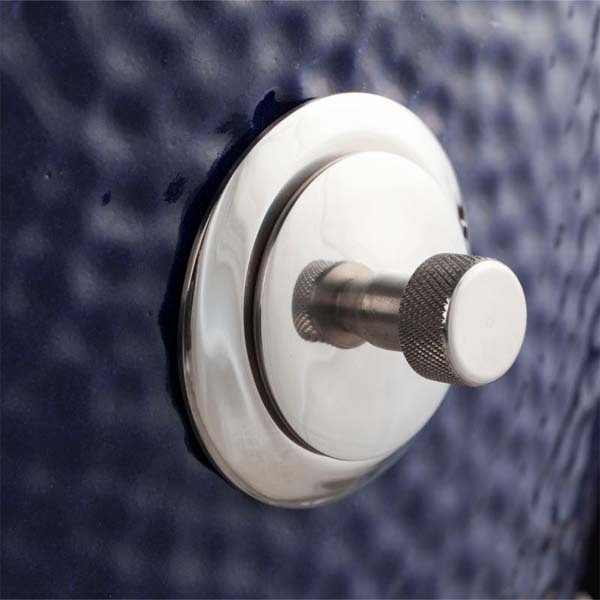 The stainless steel cooking grid offers a hinged access door to the fire. 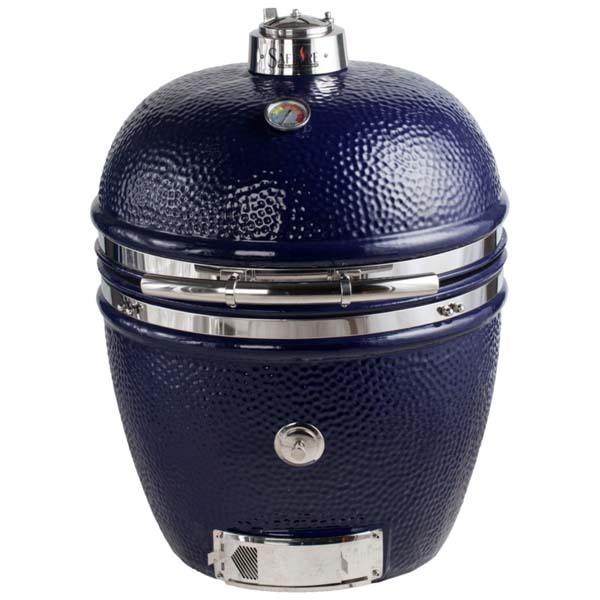 Available in a gorgeous cobalt blue or classic black, the Saffire XL 23" Platinum Grill Head comes with a lifetime warranty on the 304 hardware and ceramics!! Dimensions L29" x W29" x H37"